Even programs which remain operational suffer under the shutdown. Not all of the programs operated by the U.S. government are household names, like Social Security or “Obamacare.” But some, even if little-known, are world-historic in scope and vision. One of these is the Landsat program. Since 1972, the Landsat program has collected satellite data about the surface of the Earth. Eight satellites, now, have been built and shot toward space, some lasting far longer than they were expected to, one failing to reach orbit. 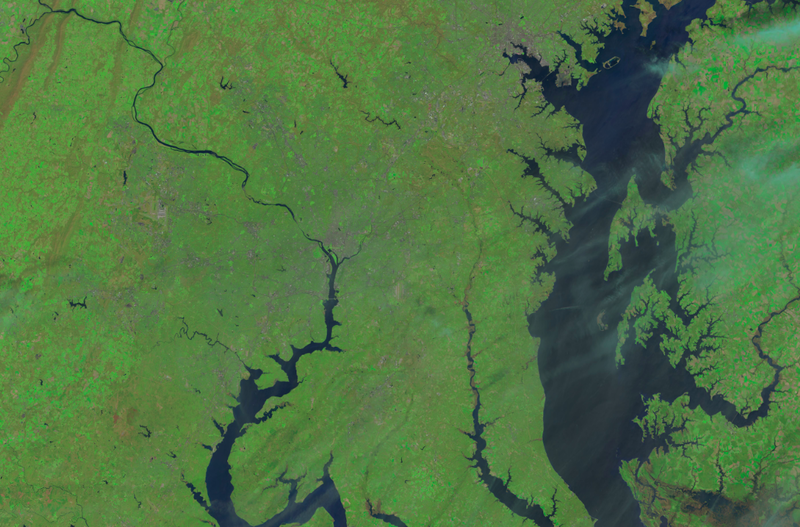 In May, the Landsat program gained its newest satellite, Landsat 8. It has been producing imagery through the summer — one image illustrates this post. The Landsat program is the oldest continuously-operated program of its type, anywhere. Its satellites have created a precious and irreplaceable archive, and to sever the continuity of that archive would be a tremendous loss for science. It would also be a problem for the businesses in agriculture and forestry which use its data extensively. So how will the government shutdown affect the Landsat program? Landsat 7 and 8, the two satellites still operational, will “continue mission essential operations,” the U.S. Geological Survey announced today. This means they’ll sense the Earth — which, since they’re already up in orbit, is relatively cheap for the government — and beam those data down to Earth. Once on Earth, the data will be archived by the United States Geological Survey. It won’t be processed into the kind of data that scientists and businesses are used to working with, though, until after the government restarts. The data may also not be available at all online until then, too. So the government shutdown, in the short term, will do little to hinder the Landsat program and the invaluable data it creates. It will introduce inefficiencies, though, and those will benefit no one.